Arekah is among one of the most favorite dishes in the place of Saudi Arabia. This dish is very much in demand among the people in the breakfast meal. This dish was basically used for helping out the people of Saudi Arabia to be strong for the tough days. 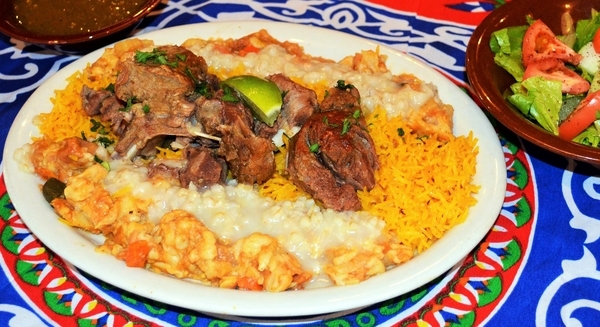 This dish has been all originated from the southern part of Saudi Arabia. It might sound interesting by name but it is even more delicious to taste as well. Get ready to try it now! Mathlotha is marked out to be one of the best and famous dishes of the Saudi Arabia. This dish is mostly include in the cuisine category of the Saudia Arabian food items. This dish is all about the mixture of the Kabsa as well as Jereesh, and Gursan. You have the option of cooking this dish as either with spice or either with the addition of the spices. It is quite an interesting and best to cook dish for the family dinners and weddings.